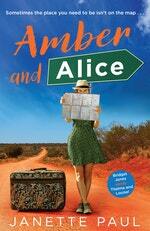 Janette Paul digs up the history of outback novel Amber and Alice. Fifteen years ago, my husband and I collected a few friends, packed up our two young kids and took a tag-along road trip into Central Australia. It was beautiful and desolate, dusty and remote; we had long days at the wheel and pitched tents in the dark. There were stunning sunsets, arguments, a lot of laughs and inspiring moments. It was so inspiring that I wanted to write a book about it. Not a memoir, but a novel about other people on a similar trek that would capture the remote beauty that had stirred us all. It was the first book I wrote and by the time it was finished, I was hooked on this writing thing. Fast forward about a dozen years and my sixth novel was about to be published, a gritty thriller called Darkest Place, penned by my other self, Jaye Ford – and that first manuscript was entombed in a drawer, testament to the many words I wrote before getting published. I needed a break from the dark stuff and my publisher asked if I was interested in writing another rom-com. Be light and funny for a year? Yes, please. As I rebooted my comedy brain, I remembered that first story – it had been fun and a bit kooky, so I pulled it out to reread. It took about two chapters to realise it was terrible. Really. Terrible. But it had captured the outback I’d loved and I decided to rewrite it. It needed a total overhaul: I killed off characters, created new storylines, introduced technology (no mobiles, iPads or GPS in the original). I went back to the travel diary I’d written on our holiday and revisited a lot of the places via Google Earth. It’s taken thousands of years for the outback to become what it is, so not much had changed in fifteen years. The landscape is still unendingly flat in places, dangerously desolate and bathed in rich reds and clear, cloudless blues. Even the man-made elements had changed little. The beautiful sculptures outside Broken Hill are still a drawcard, and sitting at my desk, I found the same pub, blink-and-you-miss-them townships and remote roadside stops with their pit toilets that I’d taken photos of more than a decade before. The exception was the opal mining town of Coober Pedy – it had been dust-city: cars, tents, trees, people had been covered in a thick layer of red dust. Now, the main street is tarred so for a couple of kilometres, there’s a little less dust. When I finished the draft, I decided I needed to go back inland to check my memories and research. I didn’t have the time or inclination to go camping again, so I flew to Alice Springs with my husband, who tagged along as research assistant. For a week, we visited the sites around Alice, drove some of Larapinta Drive (road to Palm Valley), then the lonely highway to Uluru. There, we walked the base of the rock and visited Kata Tjuta (the Olgas) in November heat (note to self: take more water); had a candlelight dinner in the desert and took a thousand photos. It was everything I remembered and more, and I went home and added some new memories to the book that was now called Amber and Alice. So in the new (much better) version of my first book, the last thing Amber wants is to spend two weeks on a camping tour into Central Australia but it might be her only chance to find the father she’s never met. The desert, though, has a way of stirring the soul and Amber, like me, will discover a new life, if she dares to follow a different horizon. 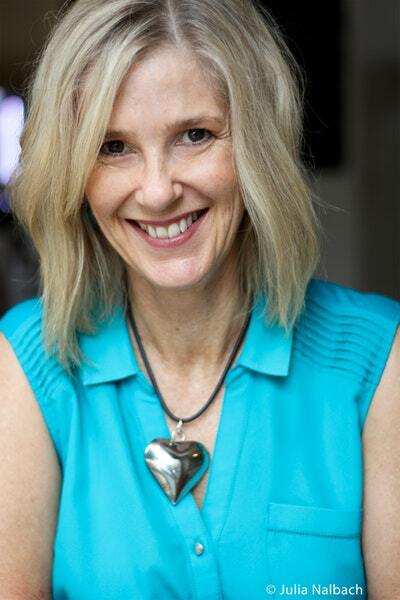 Bridget Jones meets Thelma and Louise in this fresh and very funny romantic comedy, as one woman finds the answers she needs (plus a little love) on a trip into the stunning Australian desert.